Help & DocumentationCreating ContentCreating Basic Metrics and Reports Basic MetricsWhen is data recollected for Aggregate Metrics? When is data recollected for Aggregate Metrics? Aggregate Metrics are not bound to any particular Data Collection Trigger. 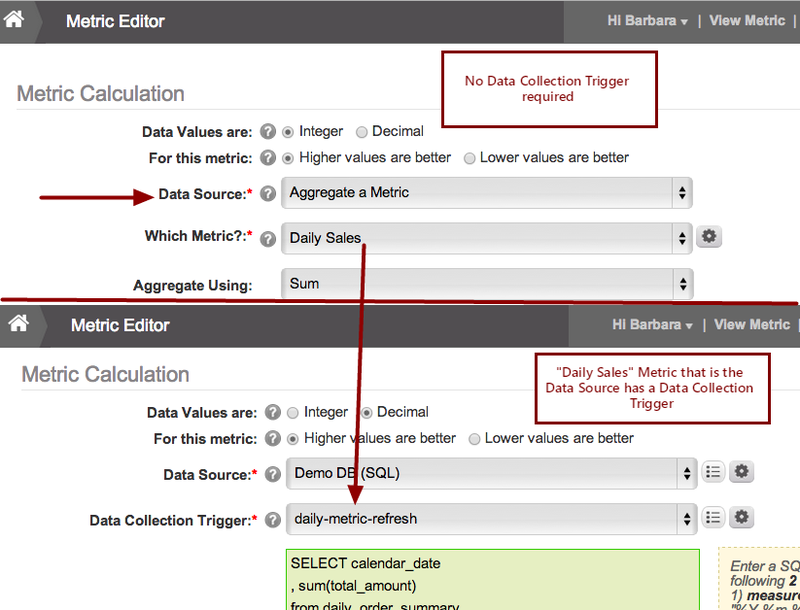 The Metric's data is updated automatically each time its Source Metric's data is updated or changed. Next: How are Moving Average and Standard Deviation calculated in MI?